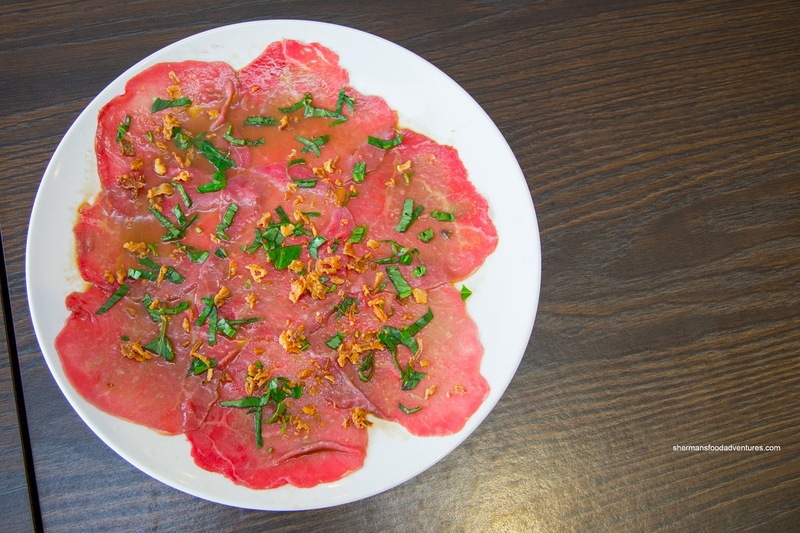 We started with the Raw Beef in Lemon Juice topped with basil and fried shallots. Thinly sliced while exhibiting a mild chew, the meat was moist and tender. The ample amount of lemon juice added both brightness and liveliness to the dish. Naturally, the basil and shallots provided aromatics as well as texture. Next up was the Deep Fried Chicken Wings with Garlic Butter. 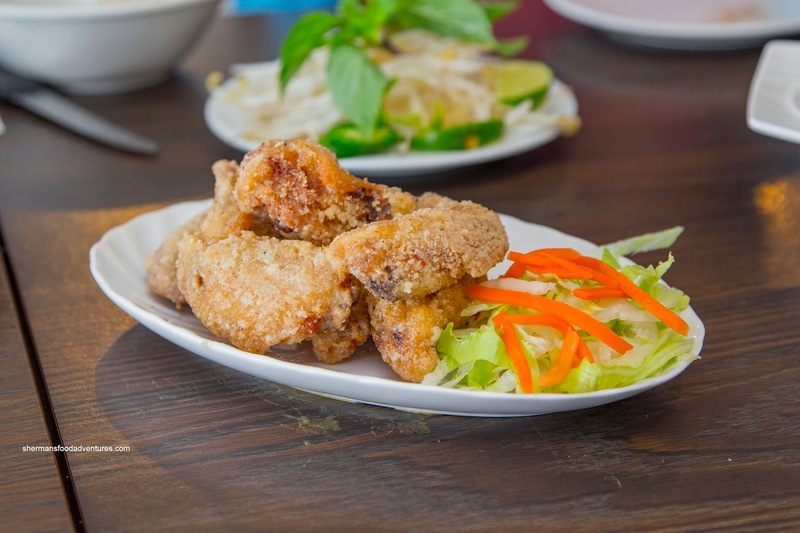 Similar to the ones found at Phnom Penh, these were lightly crispy (almost airy) with juicy meat on the inside. They were well-seasoned including the requisite toss in garlic and butter (and of course a touch of MSG). I have to say these were really good where the only thing missing was the lemon pepper. Onto bigger items, we tried the Curry Chicken with Rice. 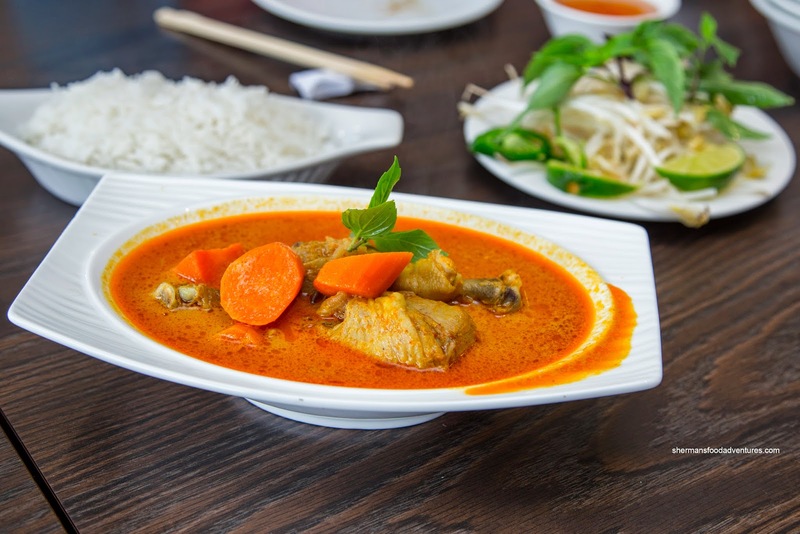 With a definite coconut milk essence and accompanying aromatics thanks to lemongrass and ginger, the curry itself was mild and not spicy. As evidenced in the picture, there was plenty of sauce to soak up the rice. Personally, I would go for the bread instead of rice to soak it all up. As for the chicken, the drumsticks were cooked just right being moist and succulent. 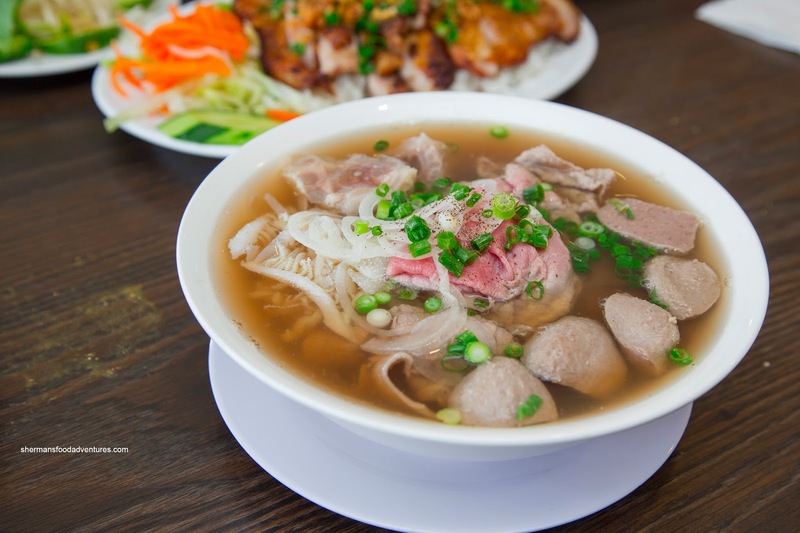 With the Phở Đặc Biệt, it was full of ingredients including meatballs, tripe, 2 large chunks of tendon soft slices of rare beef steak and flank. We found the broth to be clean with some meatiness as well as a noticeable hint of star anise. I liked that it wasn't overly sweet. The noodles were nicely al dente and not clumpy. With enough meat for 2 dishes, the Grilled Lemongrass Chicken on Rice was well-prepared. The de-boned leg meat was juicy and well-seasoned with a golden rendered skin. 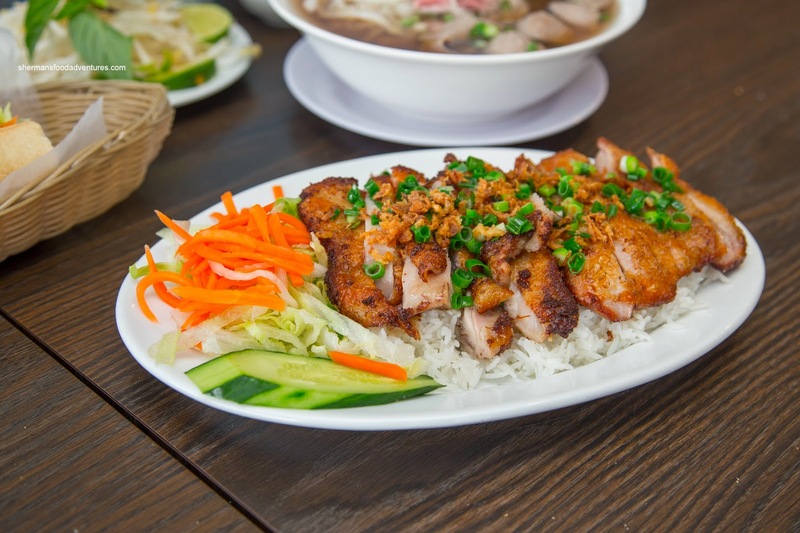 I liked how the rice underneath was chewy and nutty (not mushy and wet) where it was able to withstand the moisture from the chicken and nước chấm. 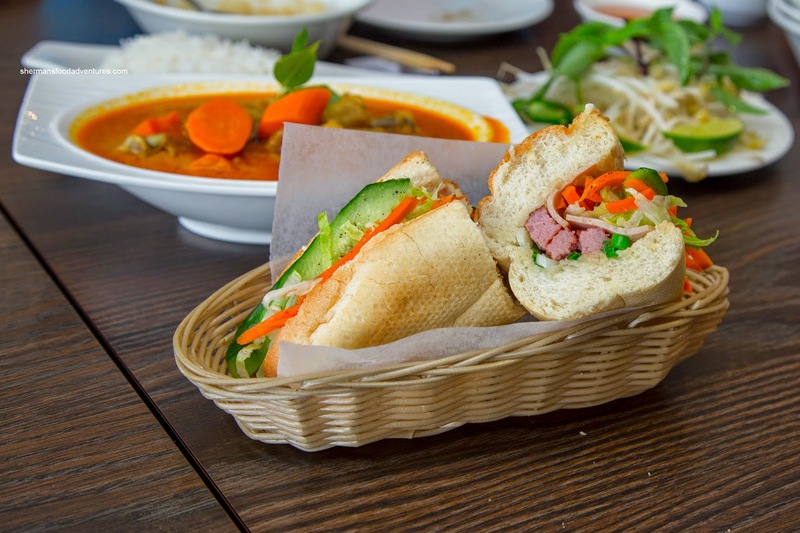 Lastly, the Bánh mì Thịt featured a good amount of sweet pork sausage, Vietnamese ham, pickled veggies, lettuce, cucumber and sauteed green onions. This particular version was a little different than I am used to, but at the same time, it was full of flavour that hit tart, salty and sweet notes. Although the baguette was toasted and crusty, the inside was a bit dense. Overall, from the items we tried, the food was good. 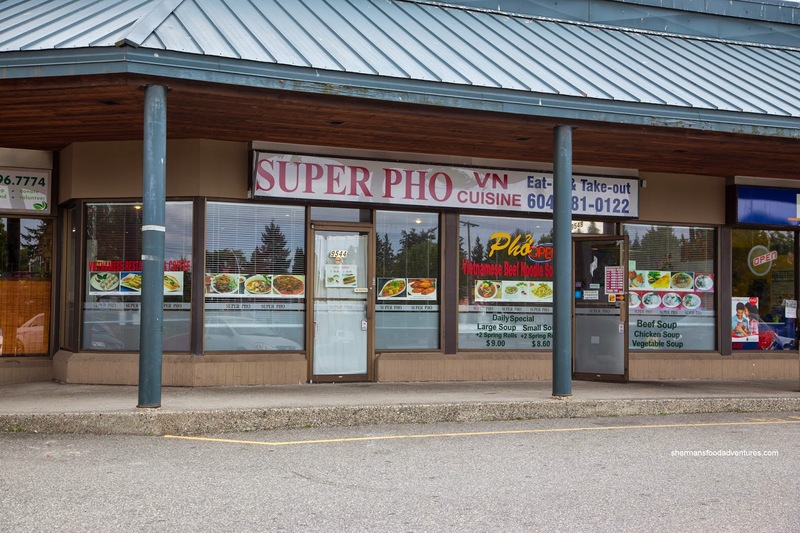 The large menu may require additional visits since I still need to try the pancake, pho ga, Cambodian-style dry noodles and green papaya salad. That itself is already a selling point because we normally do not see such variety, especially in the 'burbs.